Are you living in the Santa Clara and are in need of auto repair? Our expert mechanics are here to help you. At Autoland, our team of mechanics are not only experts at auto repair but are also experts in customer service. We have the professional service and high-quality parts to make sure that you receive the best service in the Santa Clara area. Here at Autoland, we make a promise to our customers that you will come in for excellent service and we will become your go-to auto repair shop! We would love to hear from you. Call today to request a service. Check out our current specials to save money on your next service. Get started by requesting your free auto repair estimate. The team at Autoland is looking out for our customers’ best interests. 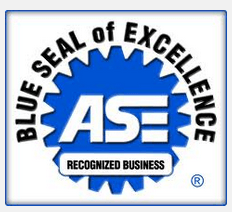 With our excellent customer service and high-quality services, it’s no surprise that we have earned certified memberships in the Automobile Service Excellence, Mobile Air Conditioning Society, and Automotive Service Association. We are very proud of all the services we provide. Greg and the guys to quality work, and explains the work up front. I always leave feeling that they did what was needed, and no pressure to upsell additional labor. Greg and the staff here are the best in town hands-down. I’ve been taking all my cars here for years, more like decades, and I tell everybody I can about this place. Thank you guys being so good. Honest people who do great work at a reasonable price. Greg and Staff are honest guys who do hard work! My whole family goes to them...we wouldn't go anywhere else. Just let them fix your problem. Mine fixed same day. Thank you guys. Best service, done fast. The Manager is awesome.